If the football player looks familiar, there's a reason for it. This is BHS Assistant Football Coach and Harrison County teacher Adam King during his collegiate playing days at West Virginia University. 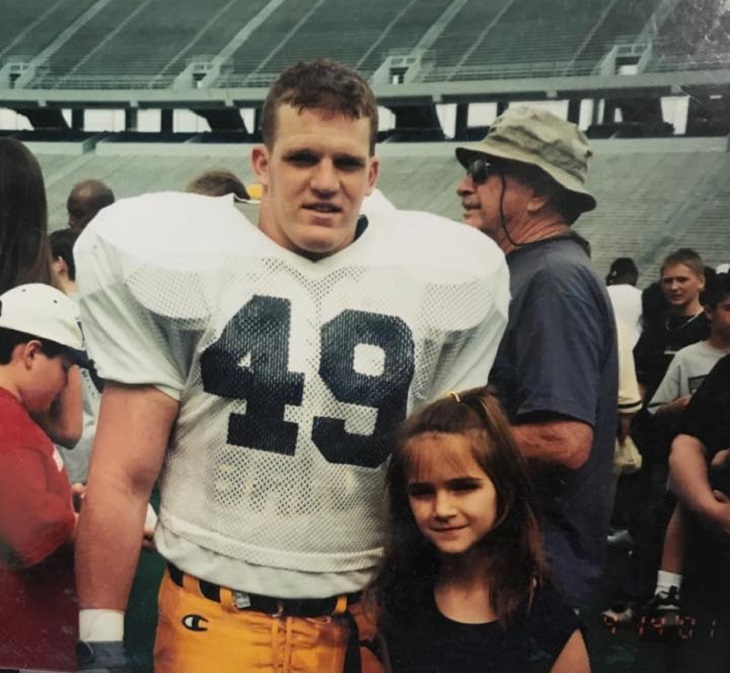 This is 18 years ago during the 2000 WVU spring football game as he poses with his biggest fan. That young lady is his little sister - Allyn King Small. This photo is more than 100 years old. 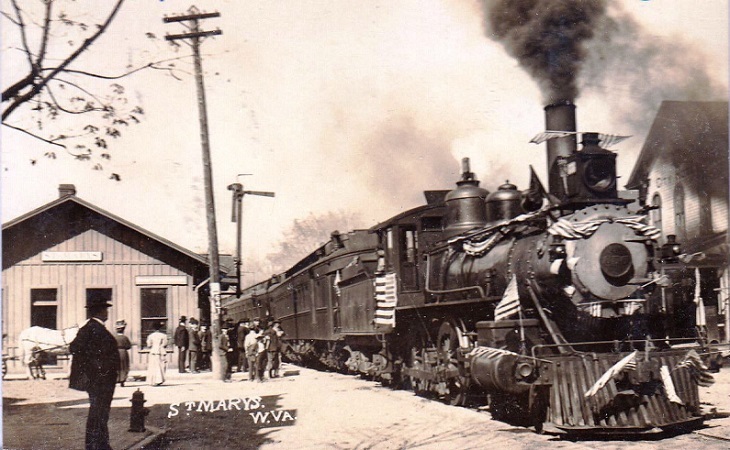 It shows the train along Main Street in St. Marys back in 1910. At that time, trains were still a primary source of transportation. Not the horse and very beginning of the buggy it is attached to shown to the left.